Owner, John Gariboldi grew up in Long Island NY. He is one of 5 children to hard working Irish/Italian parents. 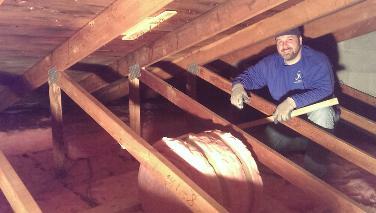 “Growing up in the Insulation Industry” is how John likes to refer to his experience as an Insulation Company owner. That's because John has been in the insulation industry for approximately 30 years in one form or another. At one time, all 4 brother in-laws were in the business and family gathering were like company meetings! As a pre teen he remembers getting up early to drive in to Long Island City with his father to the Insulation wholesale company, AGF, where his father was part owner. Unloading trucks and light janitorial work was just the beginning. In time, he started a commercial and industrial insulation company. Then in the early 90's his father joined him and they began securing work in all 5 boroughs of NYC. After meeting his wife, they decided to move to her hometown near Rochester, NY. With literally nothing in his pocket, he started cold calling various mechanical companies out of the phone book and providing quotes for future work. As a result of Mr. Gariboldi’s professionalism and his consistency in following through on pricing and work commitments, he still works with some of those same companies today. John and his wife have 8 children and live just outside of Rochester NY.